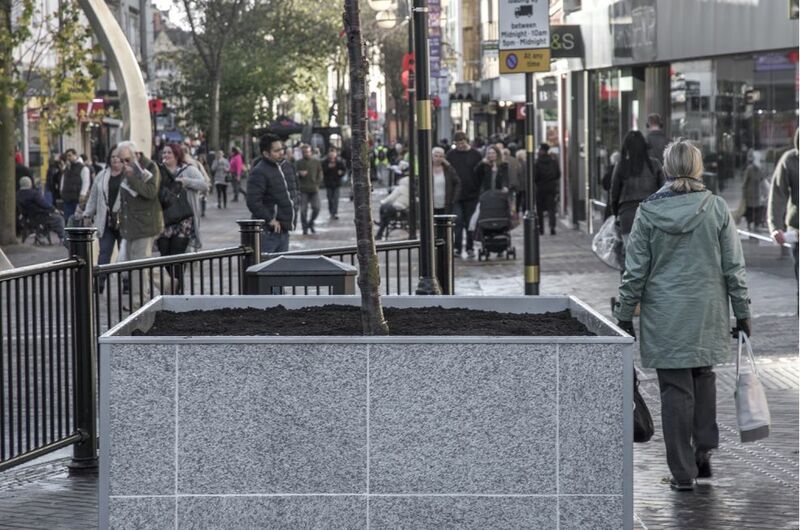 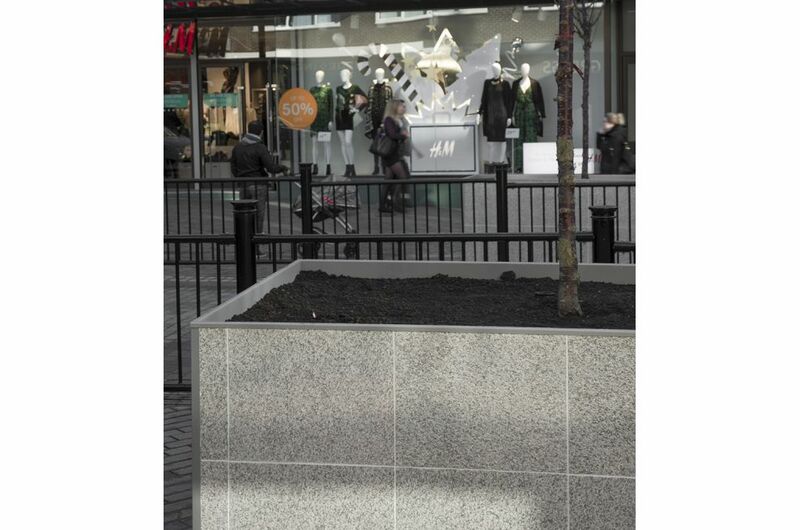 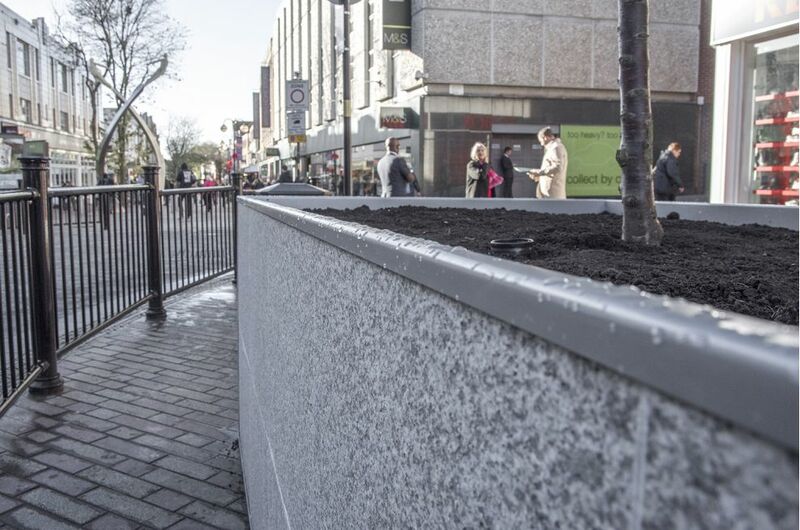 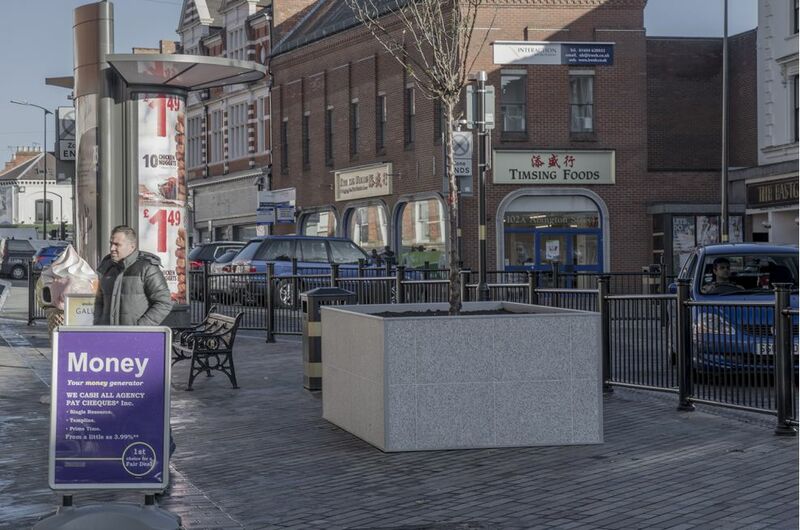 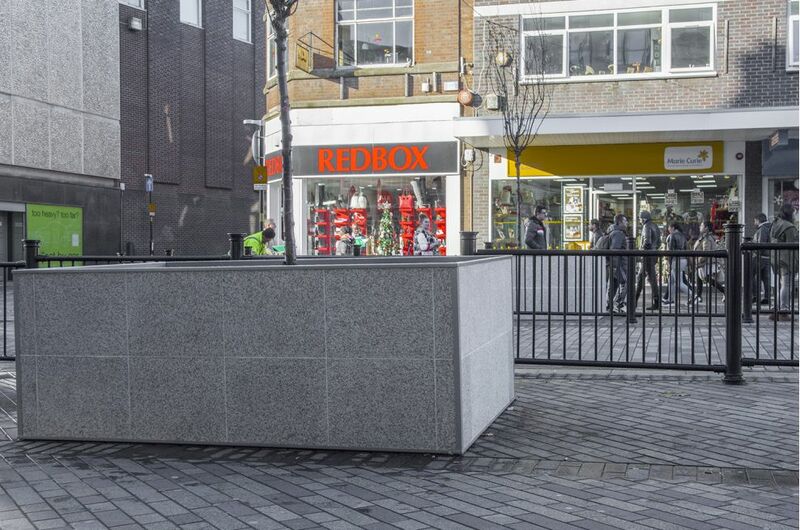 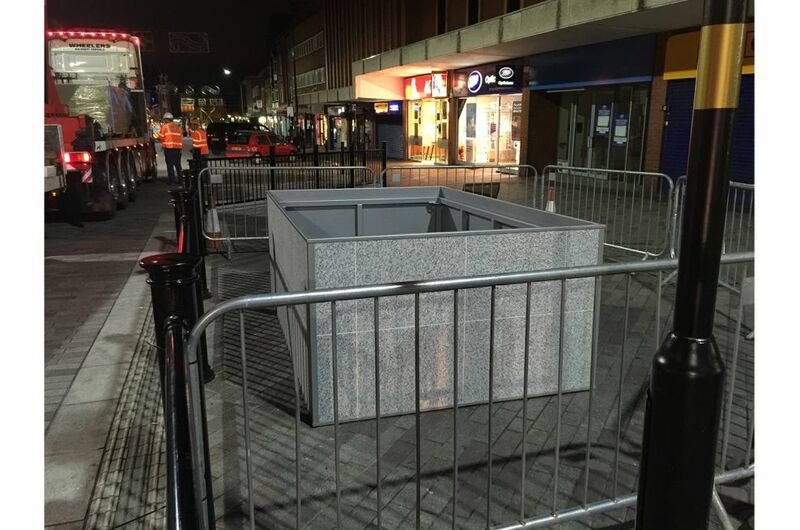 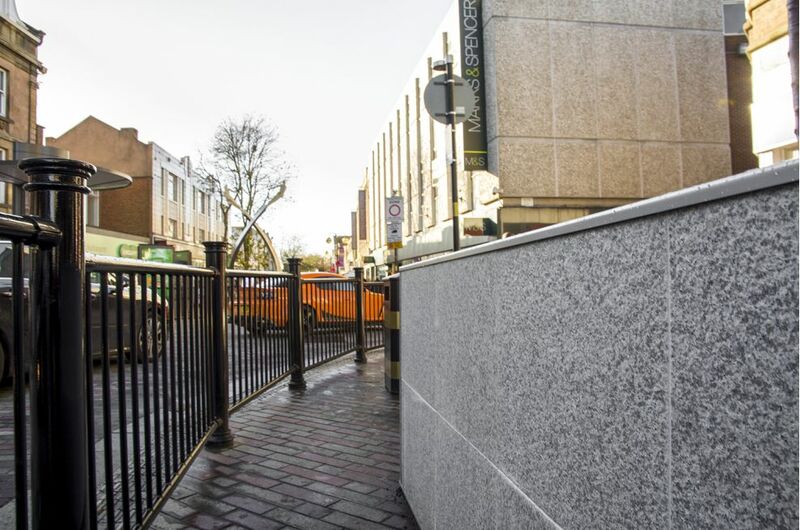 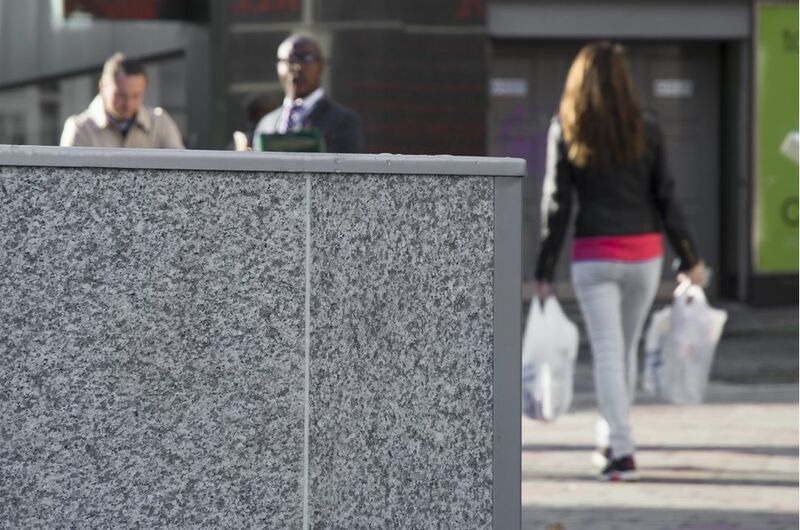 IOTA was contracted to design, manufacture and install three large steel planters, clad in granite, as part of streetscape improvements to Abington Street in the centre of Northampton. 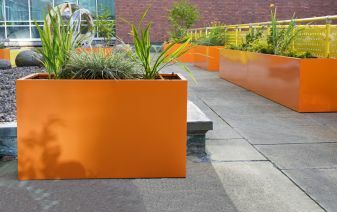 The large plant pots [dims. 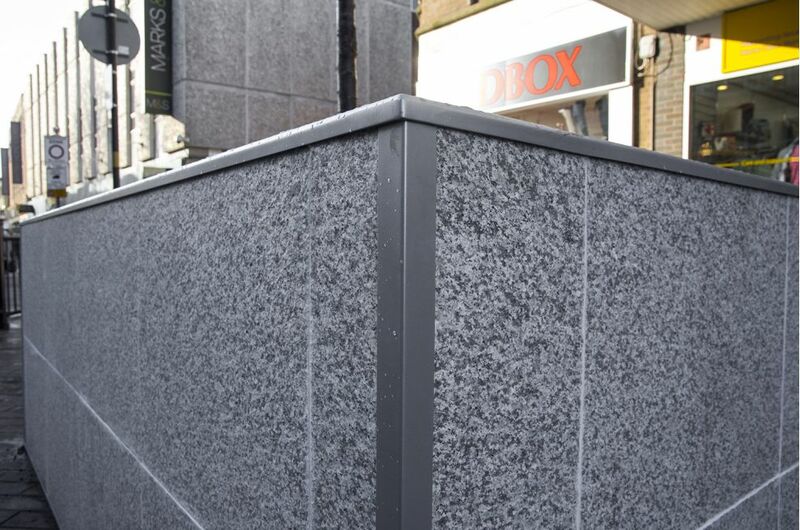 L 2700 x W 1700 x H 1000mm] were fabricated from 3mm thick Zintec Steel, polyester powder coated to RAL 9023 [Pearl dark grey], with a cladding of 15mm thick light grey granite with a flame-brushed finish. 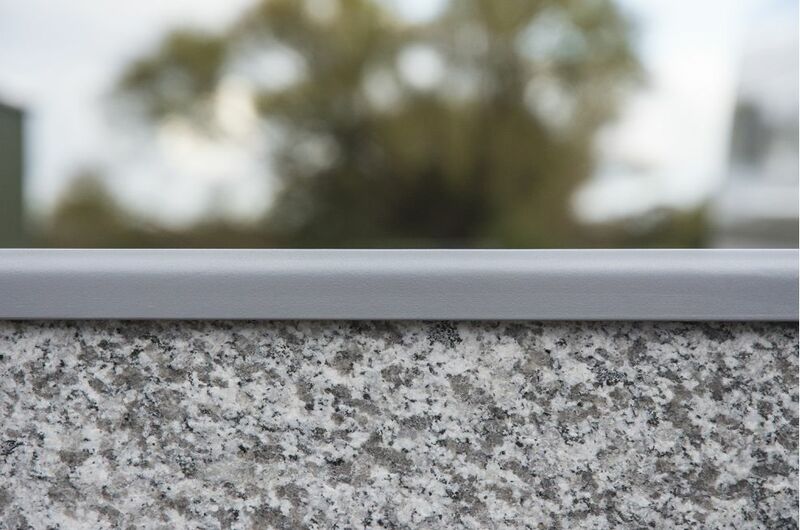 The rims return outwards, to create a finished line for the granite cladding; and the vertical edges of the four corners are also capped with steel. 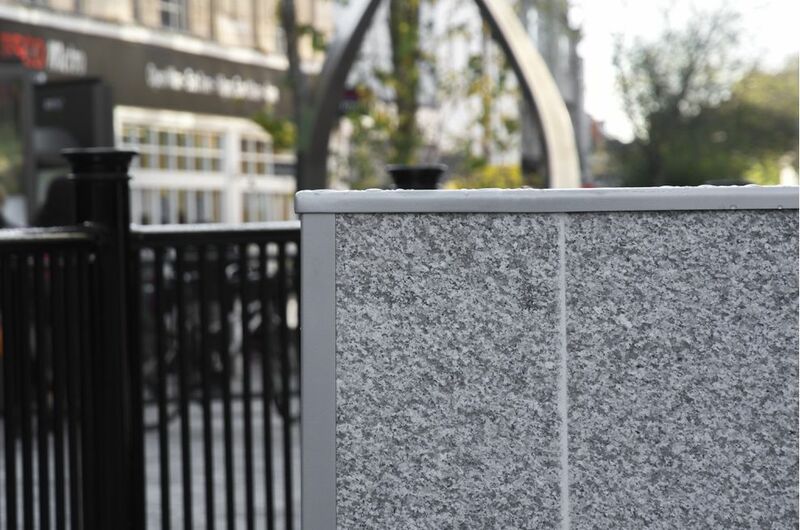 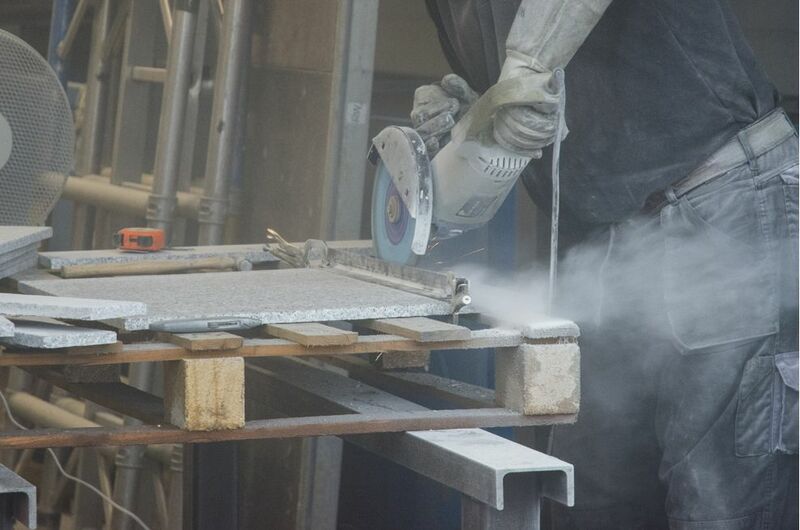 The granite tiles were cut to size, grouted, and sealed; and the tiles were bonded to the steel with high-strength, high-flex bonding adhesive. 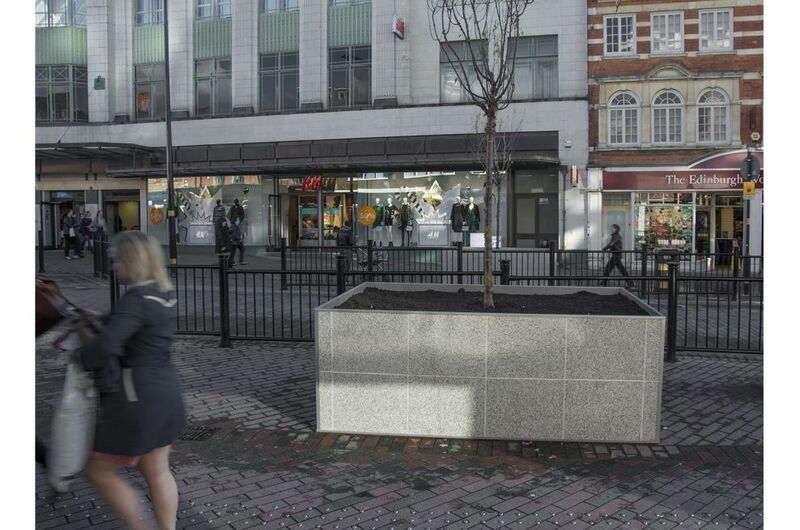 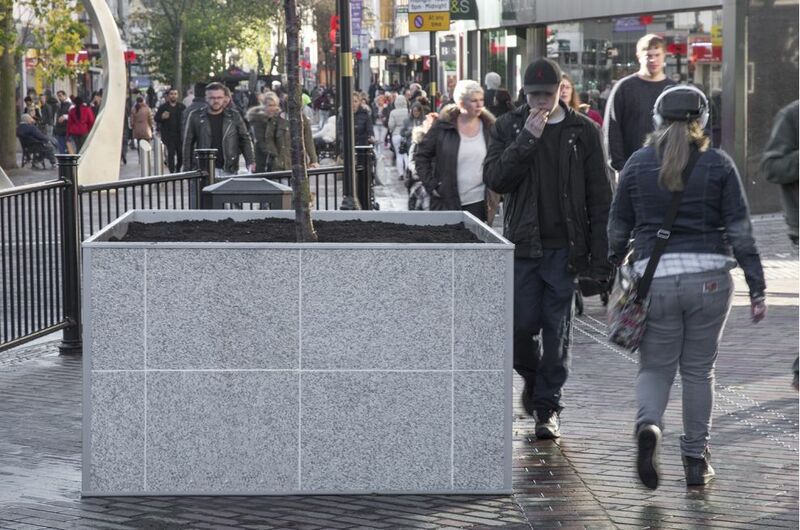 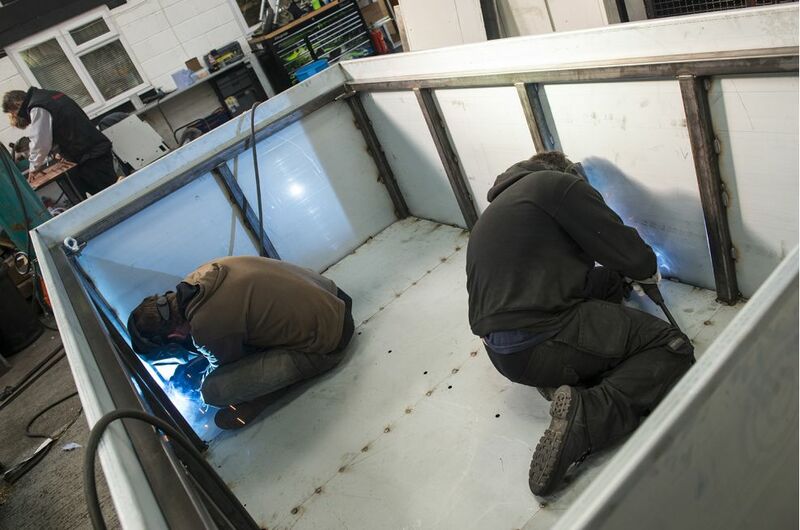 The planters were required to be fit-for-purpose in public realm; and the brief also required that the planters be supplied fully-assembled, and lifted into place via HIAB at night when Abington Street could be closed to traffic. 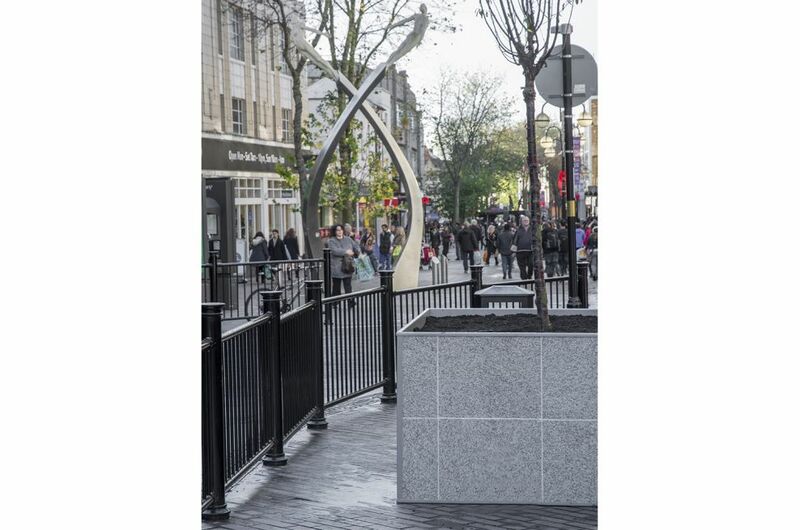 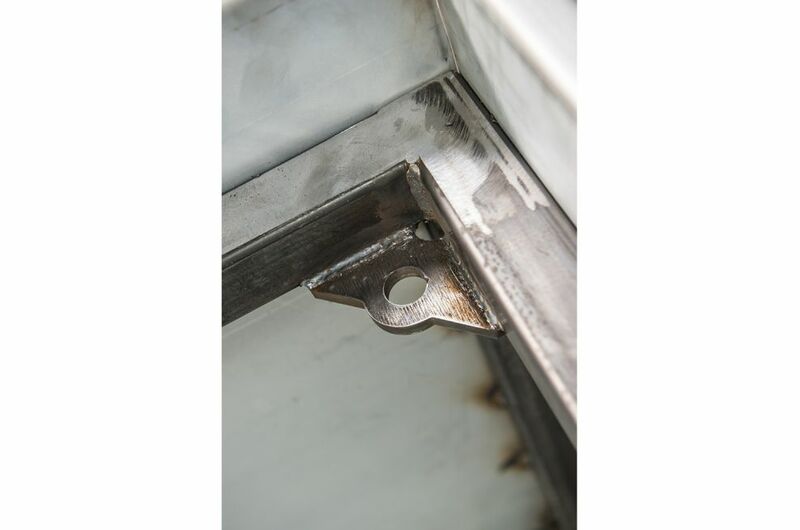 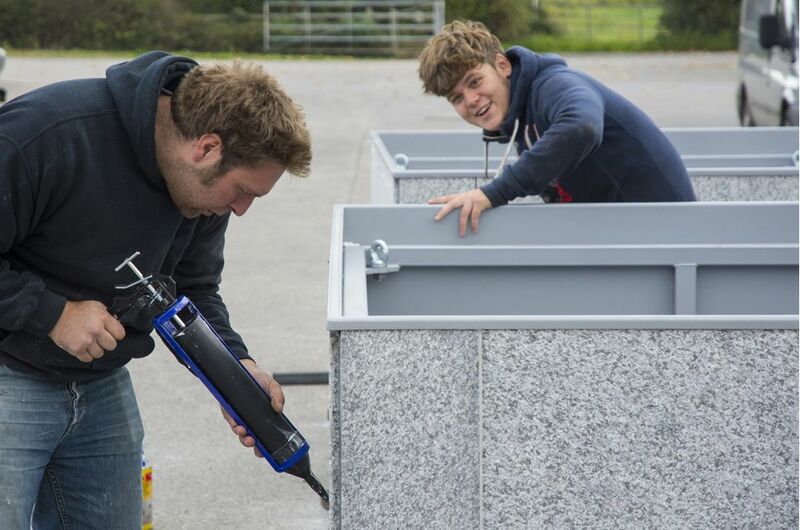 To meet these requirements, the finished planters had to be exceptionally rigid to avoid any flex during lifting; and IOTA’s design includes a substantial internal framework of 50 x 50mm box section, plus robust lifting points at the four corners. 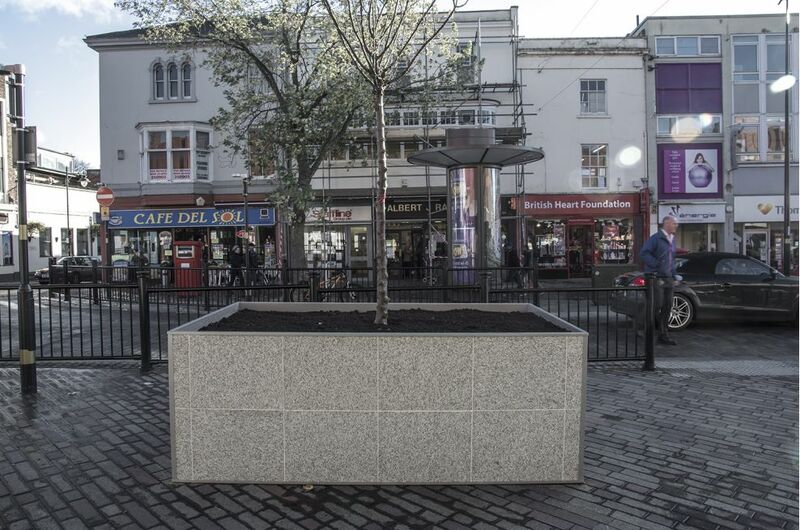 The planters were commissioned as part of a major highways upgrade to Abington Street; which includes reopening the street to traffic, as well as introducing parking and dropping off bays. 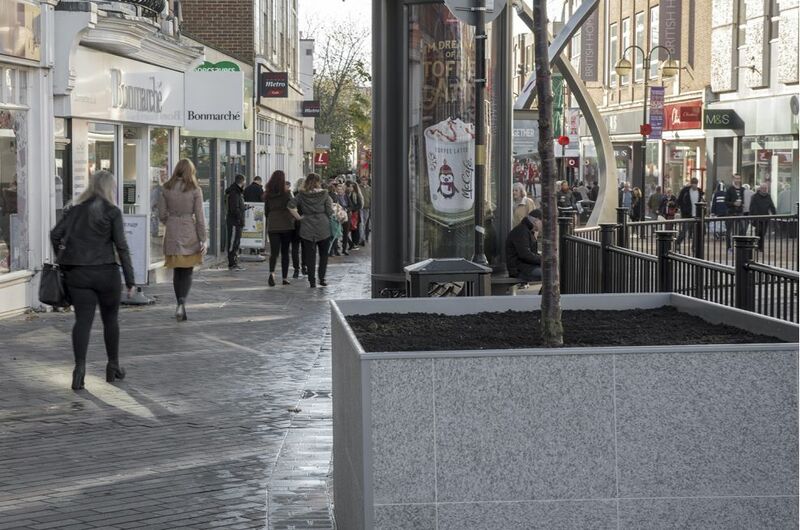 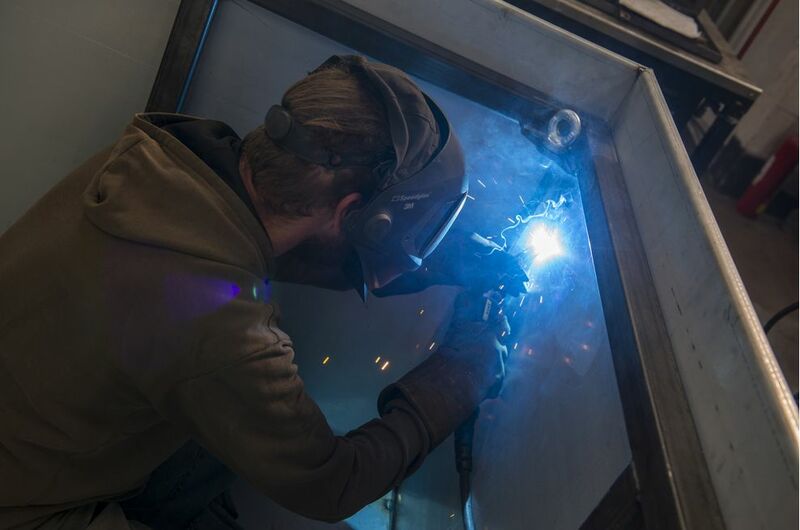 The works fall within the Northampton Alive project – the Borough Council’s wider strategy to increase the number of shoppers and businesses in the town centre. 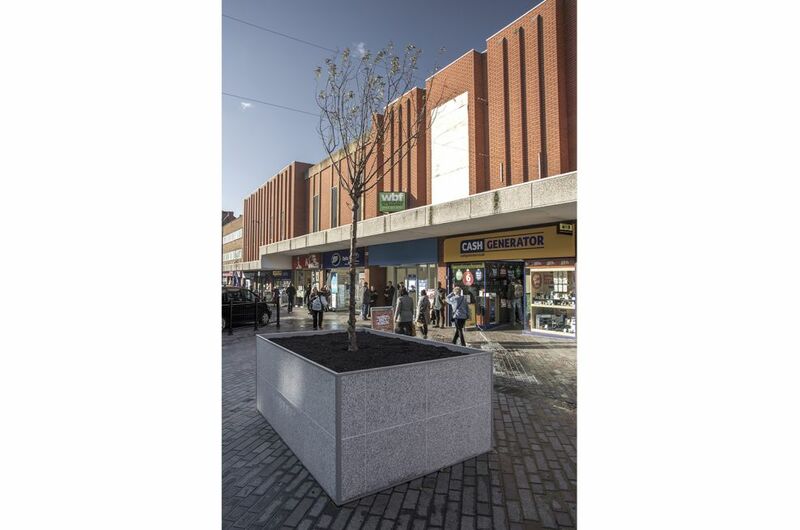 The planters were designed by IOTA to a brief from WSP Group, and were commissioned by PGR Construction on behalf of Northamptonshire Highways. 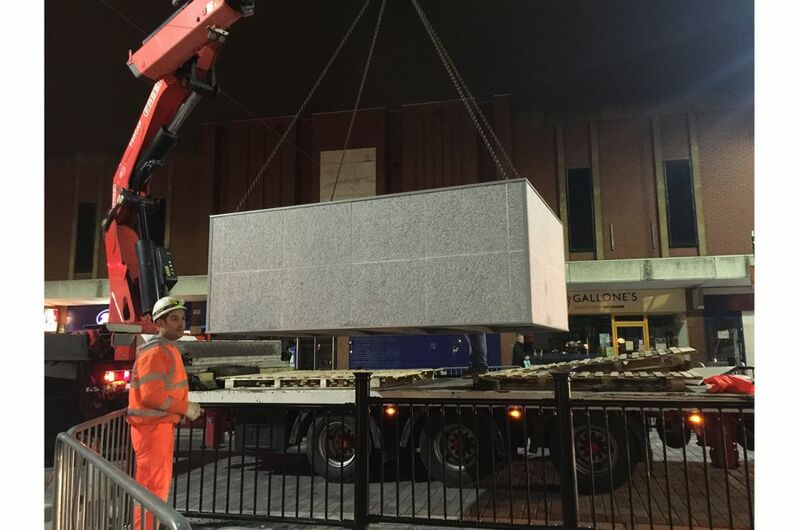 The installation via HIAB lorry was conducted by IOTA.